You can bring your engagement letters and templates to the next level and make them look awesome. Below you'll find different formatting techniques to give your templates that extra edge. The Editor is used to format your templates in Practice Ignition. You can compose your template under the Write tab. You can click on the </>Placeholders button to get the list of supported placeholders and the Formatting Help link on the top right of the editing space for more formatting tips. Formatting and placeholders are also discussed below in this article. You can delete/archive an existing template by clicking on the X Archive button. The Preview tab lets you preview what you've written to check if the formatting and placeholders you've used are working. Here are a few formatting codes that you can use to get you started. *This is bold* but this isn't. Wrap text with an underscore (_) to make it italic. Wrap text with quotation marks (") and immediately follow it with a colon (:) and the link. Use an asterisk and a space (* ) in the beginning of each line. You can indent your list by adding a second asterisk. Use a hash and space (# ) in the beginning of each line. You can indent your numbered list by adding a second hash. You can make a line of text appear as a heading by putting an "h" followed by a number. In the context of this formatting, Heading 1 is the most important (or a general heading for a document) and Heading 6 is the least important (or a very specific sub-heading within the content). Leave a blank line after every heading by hitting enter twice. This might be an introductory paragraph on the general topic. Now we're getting into the details. More formatting codes to help you bring your templates to the next level. You can explicitly identify a paragraph with p. (p-period-space) before the paragraph. p. This is one paragraph. Block quotations designate long quotations where a paragraph break is appropriate. Insert bq. before the paragraph. It ends with a blank line. 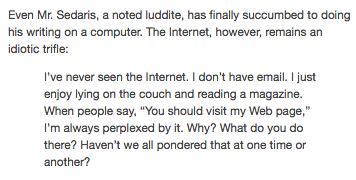 perplexed by it. Why? What do you do there? Text can be indented with single parentheses after a paragraph tag. For each parenthesis, it will indent a space the equivalent of the width of the letter M.
p(). Pad both left and right sides 1em. The copyright, registered, and trademark symbols can be produced by placing the letters in parentheses. You can nest ordered lists inside unordered lists and vice-versa. To reference a footnote, place the footnote number in square brackets . Don’t forget the corresponding footnote at the bottom of the page (fn1). To indicate a passage which has been deleted, surround it with minuses (-). To indicate an insertion, use pluses (+). Superscript and subscript phrases are surrounded with caret (^) and tilde (~) characters, respectively. Simple tables are made by separating each cell with vertical bar. Begin the cell with _. to indicate the cell is a heading. You can make a table cell span rows or columns with a slash or backslash and the number to span. 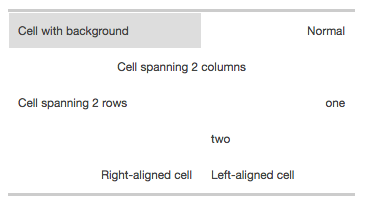 Classes, IDs, style, and alignment are also possible on table cells as with other elements. We support HTML. If you need any additional information on HTML integration, click here. It is possible to embed images in the engagement template and service descriptions using a permanent link from your website. Preview the result by clicking on the Preview tab. Note: We do not offer technical support through our help desk if the images are not displayed. Please use images in your templates at your own discretion.